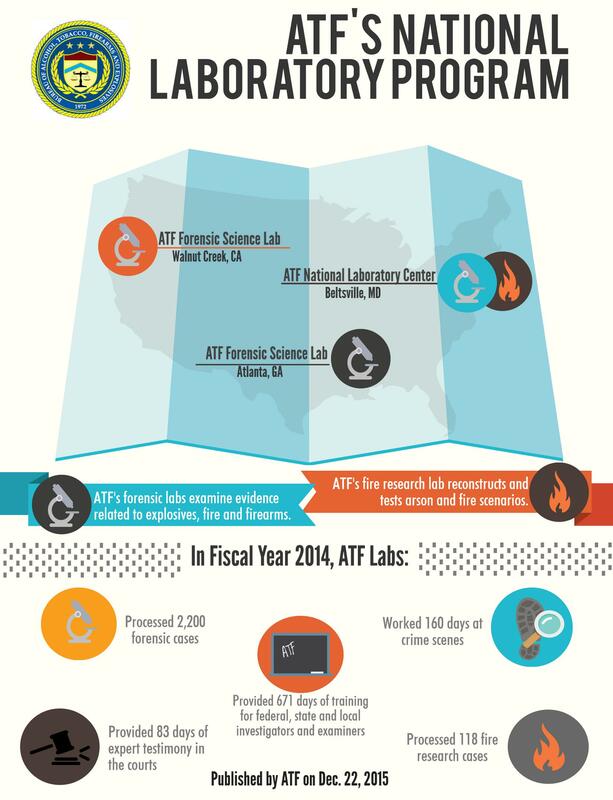 ATF's forensic labs examine evidence related to explosives, fire and firearms. ATF's fire research lab reconstructs and tests arson and fire scenarios. Worked 160 days at crime scenes. Provided 671 days of training for federal, state and local investigators and examiners. Provided 83 days of expert testimony in the courts. Processed 118 fire research cases.